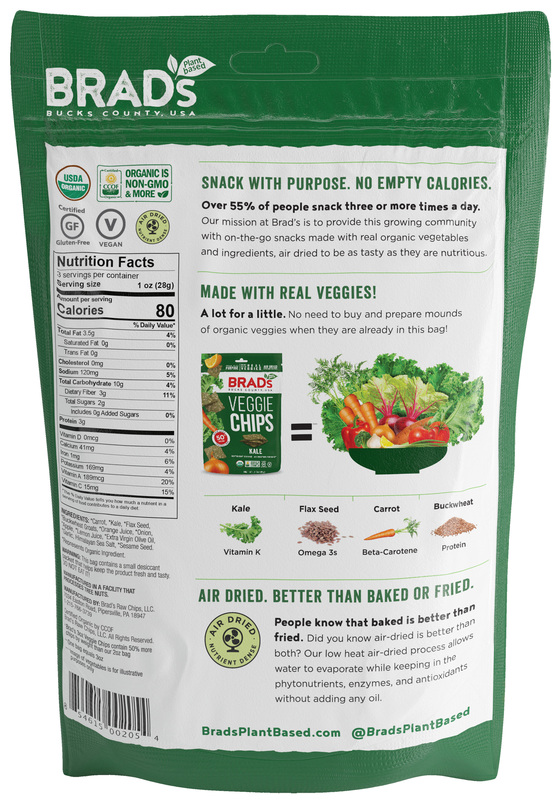 Our #1 selling Veggie Chip! With the amount of mystery ingredients floating around, chemical consumption has become normal, even more so for us frequent snackers. Brad’s Plant Based is changing how we consume. 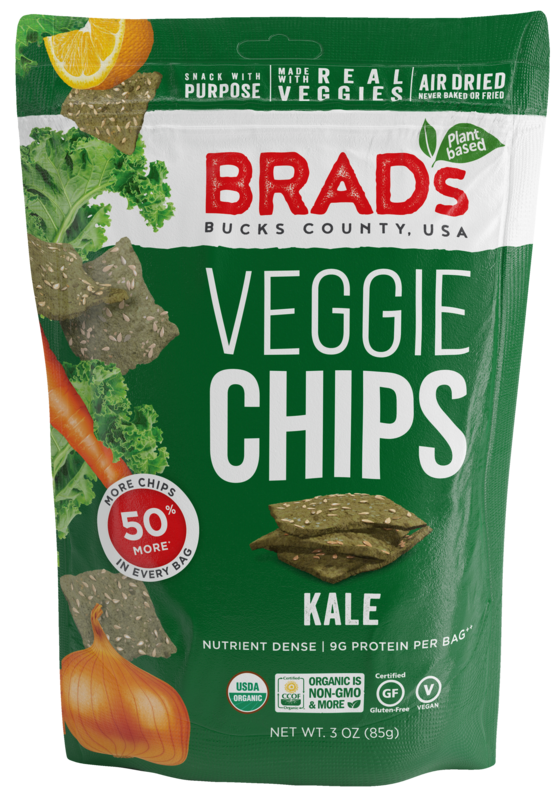 Brad’s Organic Kale Veggie Chips contain real vegetables in each bag because you deserve more, especially after receiving so little. Experience something new. Taste the farm. Be one with nature and with your health. Really ask yourself, what’s in your bag? Choose Brad’s and snack with purpose. You deserve it. Ingredients: Carrot, Kale, Flax Seed, Buckwheat Groats, Orange Juice, Onion, Apple, Lemon Juice, Extra Virgin Olive Oil, Garlic, Himalayan Sea Salt, Sesame Seed.